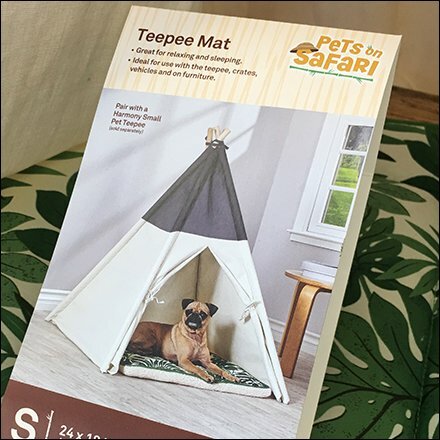 I might have spec’d a Pup Tent, but here you have a choice of Properly Outfitting TeePees on Pet Safari , or just lounging around the yard or house itself. Outside it provides a bit of shade from the hot Summer sun. You know a dog pants when overheated, so if you see that sign, its time for action. And this pet outfitting yours for the asking at Petco, assures. the sign says, your place for Pets on Safari. Do a quick inspection of the Properly Outfitting TeePees on Pet Safari offering in the gallery of images.